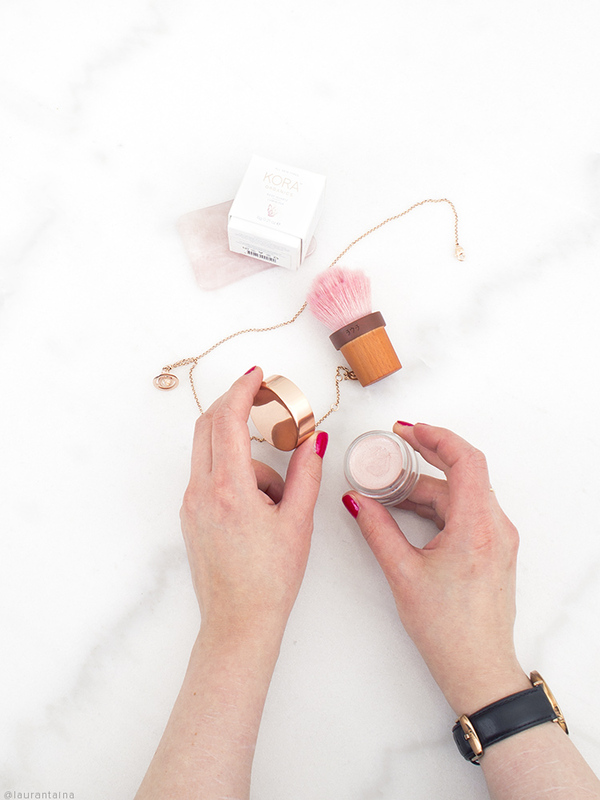 Last Spring I blogged about Kora Organics Rose Quartz Luminizer and fell in love (review here). You can imagine my excitement then they brought out new shades! 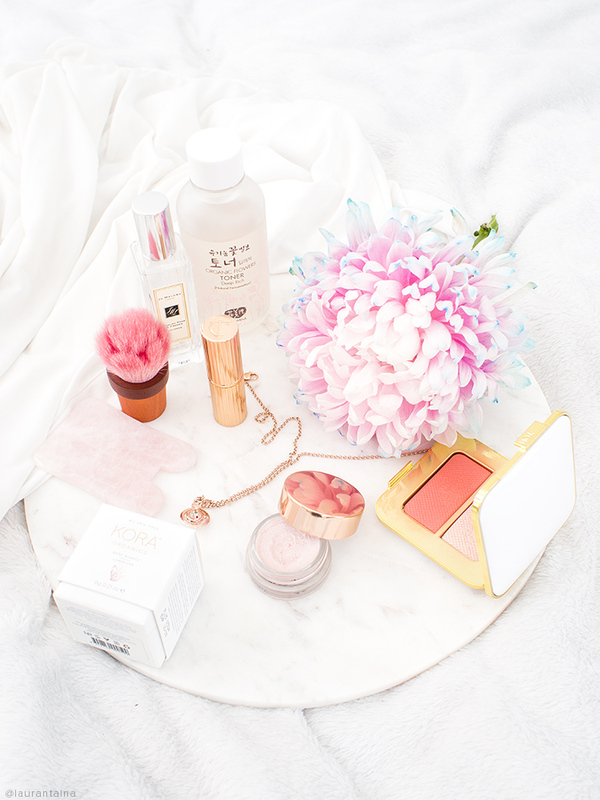 While the Rose Quartz is lovely, it might not be suitable for every skin tone. In today’s post I’m swatching you all the shades, but for more detailed information check out the original post! I asked these items from a PR company for review, so I did not purchase them myself. I still agree with my original review - Kora’s highlighters are excellent. They are quick, easy-to-use and blend effortlessly with fingers. 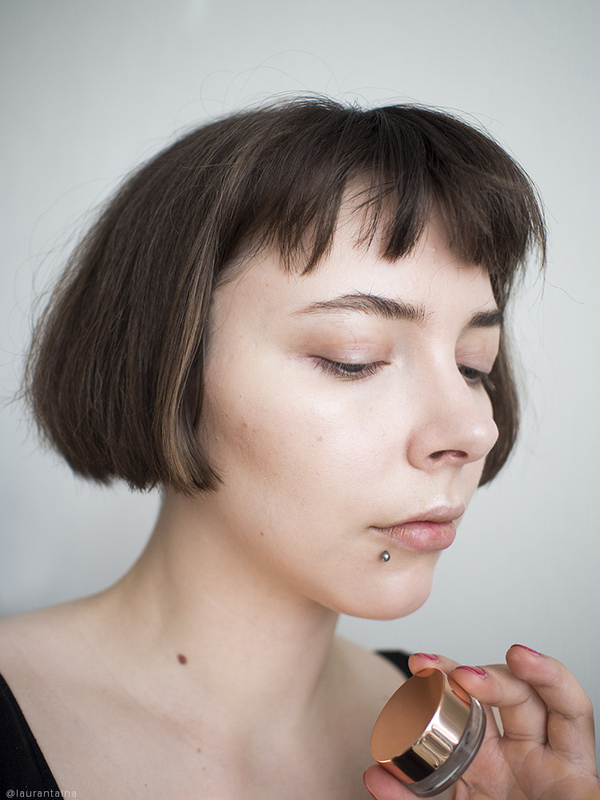 After applying blush I dab some highlighter on the high points of my cheeks, nose bridge and cupid’s bow. For tips how to highlight your face check out this post. I’ve noticed that Kora highlighters don’t move my makeup (blush, foundation) underneath as some liquid or creamy highlighters may do. This isn’t a real issue, but I will say that the Rose Quartz one changed the texture little over the summer (the surface isn’t as smooth). The colors are quite subtle and you might think the swatches look very similar, but IRL there is a more notable difference when light hits the highlighters. I can still wear the Amethyst Luminizer without looking like a purple unicorn as the base color is more subtle. I’d recommend choosing your shade according to which color you like the best, as they are all quite cool toned. Clear Quartz - a white clear highlighter that looks wet when blended. I love these highlighters, they’re so quick and easy I find my hand reaching for them all the time. I prefer Kora’s softer formula to RMS or Tata Harper - I do not have their luminizers, but I’ve tested some other their “pot products”. I can’t pick a favorite shade easily, but right now I’m quite liking subtle, wet-looking highlighters so I’d might go with Clear Quartz. This week has been swatch-heavy, but new topics next week! What’s your favorite cream highlighter? *These products were kindly gifted for consideration. This site uses ad links for supporting the blog. Say the word 'sunshine' and it immediately sparks a joy in my dark Finnish heart, starting the Aquarius / Let The Sunshine In medley play in my head (Hair was one of the first musicals I saw as a kid). 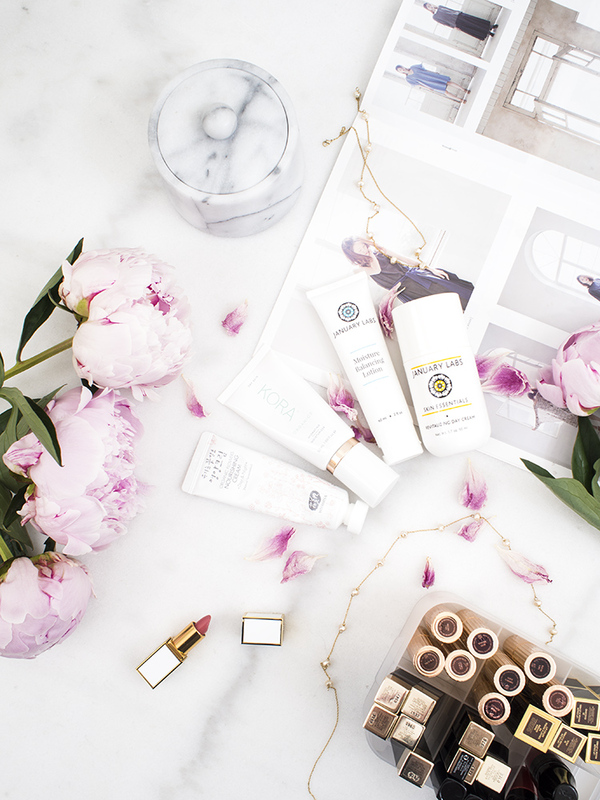 Today I want to share you some light texture moisturizers I've been enjoying especially during the warmer months. 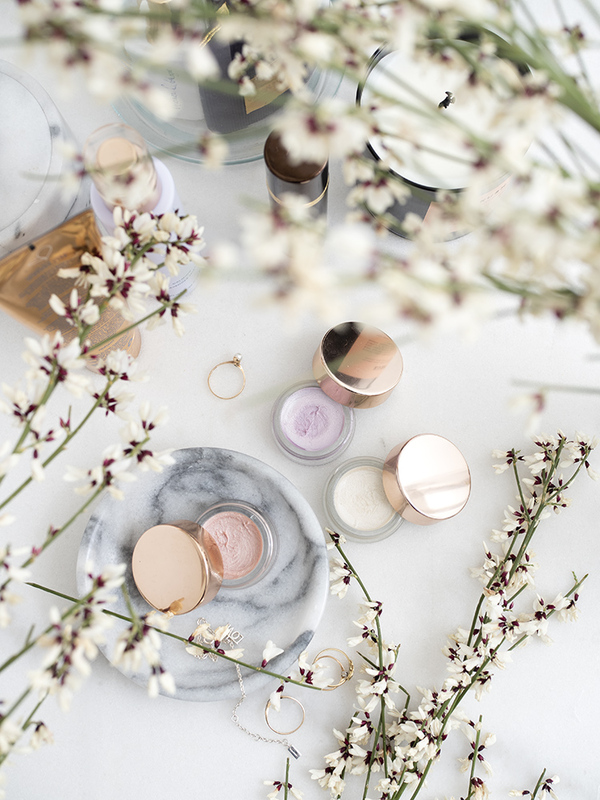 You could use them all year around when layered properly with other skincare, but you probably knew that! I see many have already posted on this same topic, but more choice the merrier? Whamisa's Organic Flowers Nourishing Cream comes in a gorgeous cardboard packaging, but the tube itself is pretty simple and humble so I didn't expect too much..? They say you shouldn't judge a book by its cover, but I'm a graphic designer so I do, haha. Anyway, this cream took my by surprise as it's very lightweight but gives beautiful moisturization. I love the texture, it's strangely almost "whipped" when it comes out of the tube. I find patting this on my skin such a pleasure as it leaves my skin plump but not heavy or greasy - although out of Whamisa's creams I think this is the one aimed towards to more normal-to-dry skin types. The cream is aloe-based with easily absorbing mango, cocoa, avocado and shea butters that leave your skin feeling soft, nourished and bouncy. Judging by the name I expected a strong floral fragrance, but the scent is very mild and almost undetectable. Whamisa is famous for their fermented skincare ingredients that are high in antioxidants and nutrients. I've read that fermented ingredients could possibly also absorb better into the skin. To read more about Korean hanbang skincare, check out my post here. My only bummer is that the cap in my tube doesn't close very securely, but keeps twisting and turning. There's no product leakage, but I'd feel safer to travel with it if the cap closed tight. Kora Organics is a new-ish brand founded by Miranda Kerr. This tube of moisturizer is equipped with a pump, which makes me very happy as it's sanitary as well prevents air contact. The product comes out as a thin lotion, which is surprisingly hydrating and moisturizing for my dry skin. I admit this Summer I've amped up the light essences and used less oils and heavy creams, as I've felt my skin needs less moisturization. In Winter I think this lotion is on the lighter side and would need me to incorporate a facial oil into my routine. You need a couple of pumps to spread this all over your face and neck. If you're more normal-to-oil I think this would serve well alone all year around. I've loved this moisturizer especially during day time under my makeup as it sinks in quickly, doesn't feel greasy or pill under makeup! The ingredients list is very nice, I always appreciate it when my creams are high with humectants and based in aloe vera leaf juice instead of water. After your usual humectants this Kora Organics Hydrating Moisturizer is packed with macadamia, avocado, olive and sunflower seed oils. Despite having a high content of oils, especially oleic acids, this cream doesn't feel greasy to me. Macadamia is high in oleic acid (Omega 9), which is great for chapped, dry skin, well-absorbed and also has some anti-inflammatory properties. This cream is also packed with other oils from flowers and wood, which amps up the antioxidant content. Aloe Barbadensis (Aloe Vera) Leaf Juice, Cetearyl Alcohol, Glycerin, Macadamia Ternifolia (Macadamia Nut) Oil, Persea Gratissima (Avocado) Oil, Olea Europaea (Olive) Fruit Oil, Helianthus Annuus (Sunflower) Seed Oil, Cetearyl Olivate, Sorbitan Olivate, Cetearyl Glucoside, Morinda Citrifolia Fruit Extract, Simmondsia Chinensis (Jojoba) Seed Oil, Juniperus Virginiana Oil, Guaiacum Officinale Wood Oil, Rosa Damascena Flower Oil, Fusanus Spicatas Wood Oil, Cananga Odorata Flower Oil, Benzyl Alcohol, Punica Granatum Sterols, Butyrospermum Parkii (Shea Butter), Dicaprylyl Carbonate, Xanthan Gum, Rosa Canina (Rosehip) Seed Oil, Hydrolyzed Sodium Hyaluronate, Camellia Sinensis Leaf Extract, Lavandula Angustifolia Flower Extract, Chamomilla Recutita (Matricaria) Flower Extract, Glycyrrhiza Glabra (Licorice) Root Extract, Rosa Centifolia Flower Extract, Tocopherol, Beta-Sitosterol, Squalene, Ascorbyl Palmitate, Alpha Bisabolol, Quartz, Potassium Hydroxide, Dehydroacetic Acid, Citric Acid, Sodium Benzoate, Potassium Sorbate, Water, Farnesol**, Citronellol **, Geraniol**. 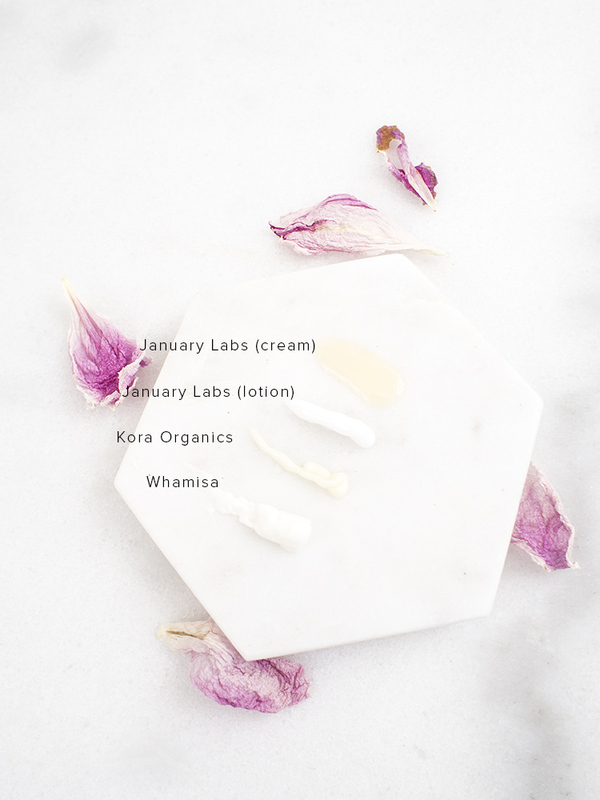 January Labs makes 'simple' yet powerful skincare. 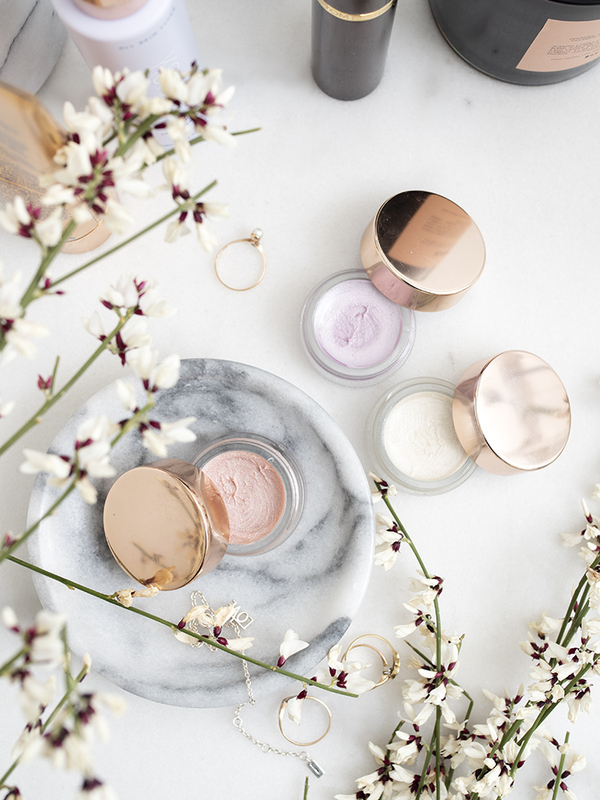 Their Moisture Balancing Lotion was my first introduction to the brand a couple of years ago, as I was looking for an inexpensive yet well formulated moisturizer. And I got it. After trying most from the line the Revitalizing Day Cream ended surpassing this lotion for me, but the Moisture Balancing Lotion still remains as a staple in my boyfriend's skincare cabinet. It's not awfully expensive, helps chapped or irritated skin, balances and above all (for him) - absorbs quickly. Squalane is one of my favorite ingredients, being a stable emollient that moisturizes efficiently. The second ingredient is aloe vera, then avocado oil, glycerin (a humectant), Vitamin E, then plant-based oils and butters. There's a bit of shea butter and coconut oil in the formula in the case you're sensitive to those ingredients. Otherwise I find this cream pretty suitable for any sensitive skin as it doesn't have any essential oils or fragrance for example. Finally perhaps my favorite cream of all time. Revitalizing Day Cream is actually a more "runny" type of a cream, almost like a light lotion while the others mentioned in this post have been very light or almost whipped type of creams. 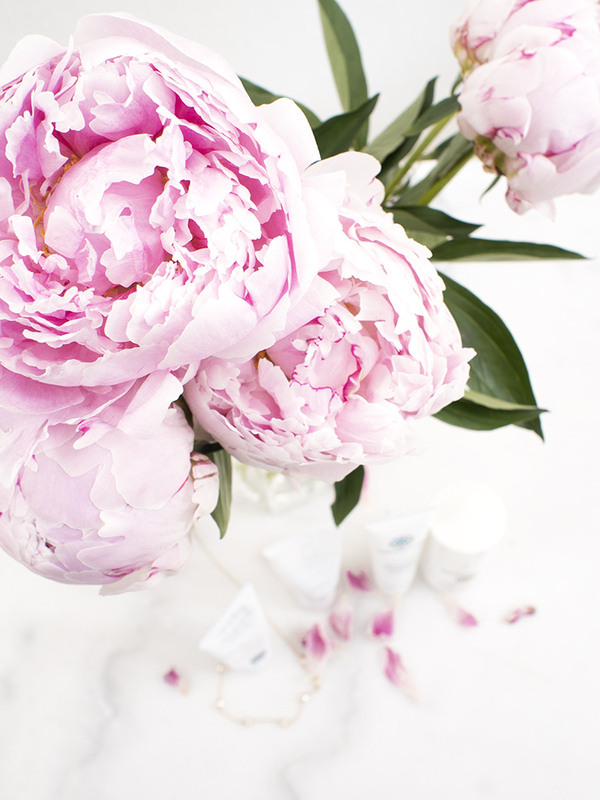 One pump of the Revitalizing Day Cream spreads easily, lightly and on a large surface. I love the feel of this cream as it's like giving a big drink to my skin. If I'm lacking hydration or moisture in my routine after applying toner, essence and serum I sure know to pick up this cream. The packaging is genius as it's an air-tight pump and doesn't leave any product inside the packaging! Caprylic/Capric Triglyceride is a coconut oil and glycerin derivative, an excellent emollient and prevents moisture loss from the skin, making it look plump and youthful. Again, if you're super sensitive to coconut or its derivatives then perhaps get your hands on a sample first. (Personally I used to be very prone to breaking out and I've never had a problem with this cream). Beta-Glucan is one of the stars of this cream, a polysaccharide sugar derived from oats or yeast. It's considered an excellent ingredient to sooth the skin, calm redness and other sensitives. The rest of the ingredients include niacinamide, hyaluronic acid and many plant extracts including green tea. I've gone through several bottles of this moisturizer and will repurchase forever. Full review here. Water (Aqua), Caprylic/Capric Triglycerides, Beantree Oil, Beta-Glucan, Verbena Officinalis Extract, Hydrolyzed Soybean Fiber, Propanediol, Niacinamide, Hydroxyethyl Acrylate/Sodium Acryloyldimethyl Taurate Copolymer, Stearyl Alcohol, C14-22 Alcohols, Tocopheryl Acetate, Allantoin, Aloe Barbadensis Leaf Juice, Hydroxyethylcellulose, Borago Officinalis Seed Oil, Vitis Vinifera (Grape) Seed Oil, Butyrospermum Parkii, Hydrolyzed Hyaluronic Acid, Camellia Sinensis (Green Tea) Leaf Extract, Vitis Vinifera (Grape) Seed Extract, Vaccinium Myrtillus (Bilberry) Extract, Silybum Marianum (Milk Thistle) Extract, Pinus Pinaster Bark (Maritime Pine) Extract, Ginkgo Biloba Extract, Glycerin, Vaccinium Myrtillus (Bilberry) Fruit Extract, Euterpe Oleacea Fruit Extract, Lycium Barbarum (Goji) Extract, Aristotelia Chilensisui Fruit Extract, Aronia Arbutifolia/Aronia Melanocarpa (Chokeberry) Fruit Extract, Garcinia Mangostana Fruit Extract, Punica Granatum Fruit Extract, Morinda Citrifolia Fruit Extract, Citrus Aurantifolia (Lime) Oil, Phenoxyethanol, Ethylhexylglycerin. 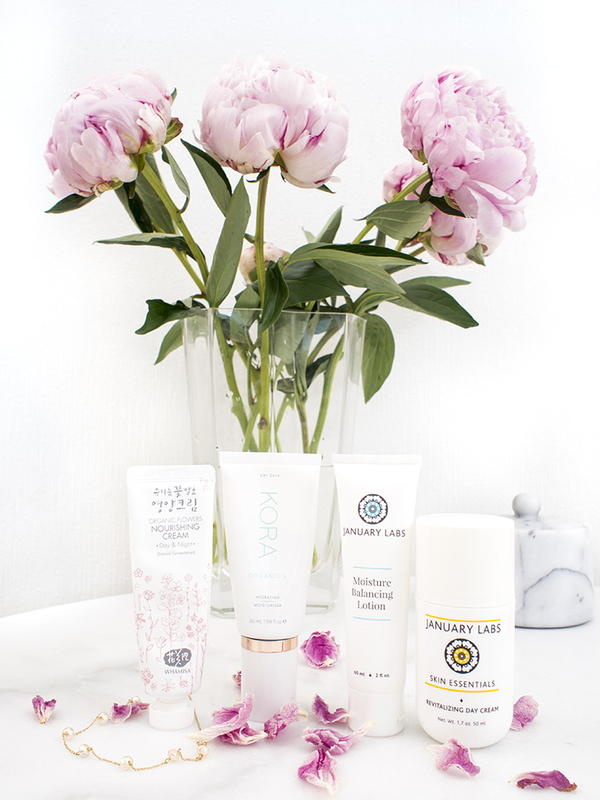 And there you go, my favorite moisturizer picks for this Summer! 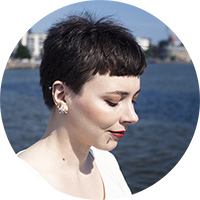 If you're wondering why the €/$ price difference in Whamisa and Kora is so high compared to January Labs: I searched for the Finnish and US retail prices (and Finland is super expensive..) while January Labs is sold on Cult Beauty (UK) and their prices are similar to the US pricing. 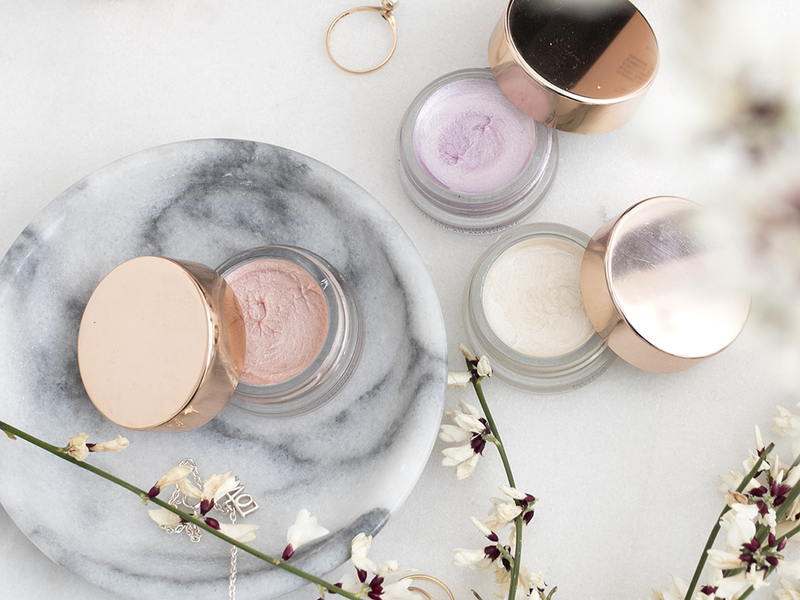 Summer or Winter, your go-to moisturizer for this season? Let me know! * These products are PR samples kindly offered for consideration. Both January Labs products I've also purchased myself. All of my thoughts are unbiased and my own.